Jeff Deleuse hand chooses every diamond for Deleuse Jewelers, from the smallest diamond to the largest. Exclusive representatives for Lazare Diamonds in Marin, visit our post about Lazare Diamonds. Before the DeBeers slogan of the 4 C’s, cut, color, clarity, carat, Jeff had his own qualifications for each diamond beyond the 4 C’s, including the overall polish, fluorescence and subtleties that only a trained eye can observe—such as the perfect ideal cut and extra faceting. Before ‘conflict free’ awareness became public, Jeff adhered to strict buying policies within the AGTA and AGS, knowing where the diamonds were from. 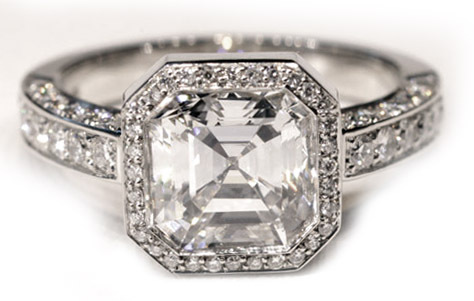 Deleuse Diamonds are cut specifically to our requirements in the United States. All diamonds sold from Deleuse Jewelers come with certificates from the Gemological Institute of America or the American Gem Society. Jeff Deleuse includes an Insurance Appraisal with every diamond purchase.